Hosted by celebrity stylist Ted Gibson and featuring presentations from top artists including Beth Minardi, Oribe, Nick Arrojo, John Simpson, Ammon Carver and more, the Hairdressers Helping Hairdressers event, happening Sunday, December 9 in NYC, will raise much-needed awareness and funds for stylists and salon owners affected by Hurricane Sandy. With all proceeds going to the PBA Disaster Relief Fund, we hope you join us for this unprecedented, industry-wide event. Here are all the details. Some of the biggest stars in the industry are slated to take the stage for Hairdressers Helping Hairdressers, including: Beth Minardi for Joico; Nick Arrojo, John Simpson and Dimitrios Tsioumas for Goldwell/KMS; Oribe; Nick Berardi; Anthony Cole and Alexandra Matiz for Wella/Sebastian; Sassoon’s Traci Sakosits; Matrix’s Ammon Carver and more. Plus, the evening will be hosted by celebrity stylist Ted Gibson! More artists and companies are joining the cause daily so stay tuned for updates! In addition, national distributors Sally Beauty/BSG, SalonCentric and DePasquale Companies, as well as Pivot Point International, will be making special donations to the cause. All ticket proceeds and donations from the event will benefit the Professional Beauty Association’s (PBA) Disaster Relief Fund. The PBA Disaster Relief Fund awards 100% of funds raised to help industry professionals impacted by natural disasters as they begin rebuilding. Tickets are only $100 each and a very limited quantity is available. “Many people in our hairdressing community have been seriously affected by Hurricane Sandy,” says BTC founder Mary Rector-Gable, who, along with PBA Executive Director Steve Sleeper and Wella North America CEO Reuben Carranza, helped lead the efforts in organizing Hairdressers Helping Hairdressers. “They have lost their belongings, their homes and their salons. 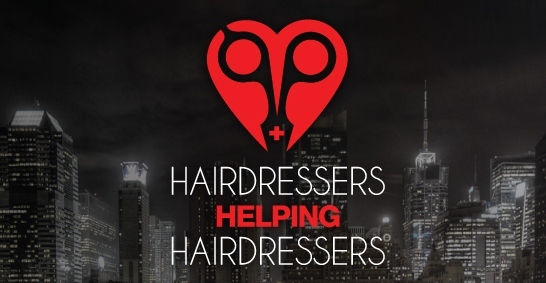 Let’s not let them lose hope.” To that note, the industry has truly come together with the simple focus of raising as much money and awareness as possible to help hairdressers impacted by the hurricane. 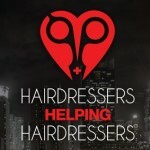 “We are rallying our industry to make an impact for the thousands of hairdressers who need assistance now,” adds Steve. “This is the time we all leave our jerseys at the door and come together as an industry to support our own,” says Reuben.